A 2-year probe into York City’s Southside gang led to a short-term reduction in violent street crimes in York City, police said. 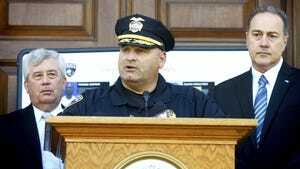 A two-year probe into York City’s Southside gang that led to federal indictments against 21 purported gang members also led to a noticeable, if short-term, decrease in the amount of violent street crimes in York City, York City Police Chief Wes Kahley said. The racketeering and drug-dealing indictments were handed down in September 2014. Since then, 12 men were convicted, eight others pleaded guilty and one awaits trial, officials said. 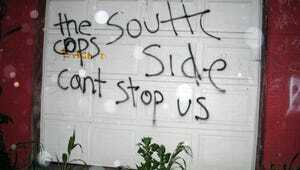 Police say Southside used violence and intimidation to protect their drug turf. Even though many Southside leaders remain locked up awaiting federal sentencing, the gang is still active, according to the chief. The federal investigation and prosecutions “definitely sent a short-term message,” Kahley said. Not a secret: Gang members knew federal investigators had begun working with city police to target gangs, according to York City Detective First Class Andrew Shaffer, who heads up the city’s narcotics unit and who played a leading role in the joint investigation. “It was no secret on the street that the feds were here. At that point everybody took a step back, because they didn’t want to get caught up in ... a federal RICO indictment,” Shaffer said. RICO stands for “racketeer influenced and corrupt organizations,” and RICO investigations target organized crime. Word on the street was that some Southsiders even put aside cash so they could hire defense attorneys in case they were indicted, according to the detective. Shaffer said the beauty of such federal prosecutions is that they can go back for years and tie together individual crimes to show organized patterns that further a conspiracy, which in this case was protecting their drug-selling enterprise. Just as important, he said, is that federal sentences tend to be longer than state sentences for the same criminal conduct, so the convicted Southsiders are facing many years in federal prison. “I think it’s a huge win for the citizens who live in this community,” Shaffer said. The background: It was nearly three years ago when York City officials concluded enough was enough, Kahley said — that sweeping action needed to be taken to stop the pattern of violence, drug dealing and intimidation employed by city gangs. And York City Police had in the past worked with federal investigators and prosecutors to dismantle the city’s former 212s gang, Kahley noted. So the chief started making phone calls to federal contacts he’d made going back to his own time monitoring gang activity as the sergeant in charge of the city police department’s Street Crime Reduction Unit. During that time he got a close-up look at how gang members work together to protect their drug-trafficking turf, and each other, through murder, violence, retaliation and intimidation. “We needed federal help because their sentencing guidelines are much stronger,” Kahley said. Several federal agencies rallied to help, but it was agents with the federal Bureau of Alcohol, Tobacco, Firearms and Explosives and prosecutors from the U.S. Attorney’s Office in Harrisburg who threw in with York City Police for the long haul. What resulted was a massive two-year investigation into the Southside gang that last month led to the federal convictions of 12 of its purported members — some of whom are facing prison sentences of between 30 years and life, according to Michael Consiglio, the assistant U.S. attorney who led the nearly eight-week trial. “One week we had 50 different officers up (in Harrisburg), testifying,” Kahley said. Eight other Southsiders pleaded guilty and one defendant has not yet gone to trial. It could be six to eight months or even longer until all the defendants are sentenced, the prosecutor has said. A different street gang could easily have been targeted for investigation, Kahley said, but Southside was chosen for several reasons. “The violence that was happening at the time was between Southside and Parkway,” he said, including the Mother’s Day 2009 drive-by shooting that killed 9-year-old Ciara “CeCe” Savage as she and about five other children played in the 500 block of South Duke Street in broad daylight. But the Parkway gang had taken some pretty big hits around that time, according to Kahley. Some of its members had been murdered and others were convicted of various crimes and sent to prison, he said, so investigators decided on Southside. City detectives compiled information on more than a decade worth of crime committed by Southsiders, going back to 2002, to prove the crimes were tied together as part of an organized conspiracy, the chief said. — Reach Liz Evans Scolforo at levans@yorkdispatch.com.